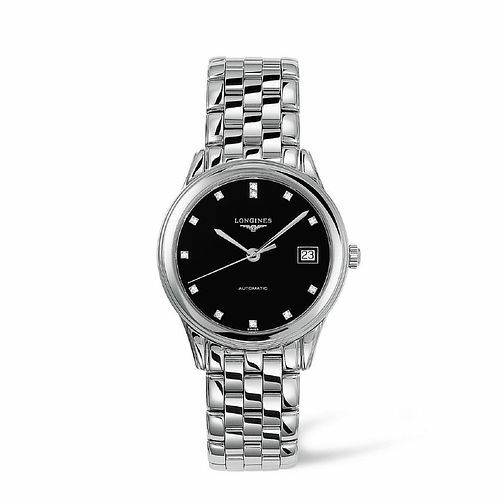 Exuding classic elegance, this sleek polished stainless steel fine link bracelet watch by Longines is from the Flagship collection, and is crafted with automatic movement. Styled with a smart black dial with date window, and set with delicately dazzling diamonds for an indulgent feel. A timepiece to make every occasion special.